This week, we were excited to welcome a group of Primrose School at New Irving Park summer camp students, ages six to twelve, for an engaging and interactive field trip experience. 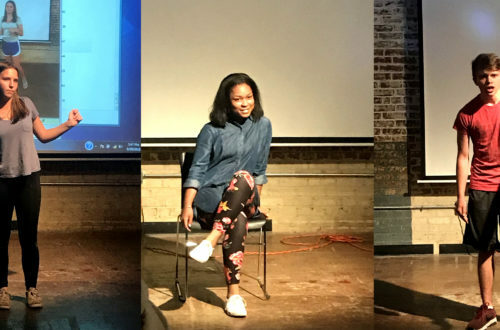 Students began their experience on the Pyrle Theater MainStage. 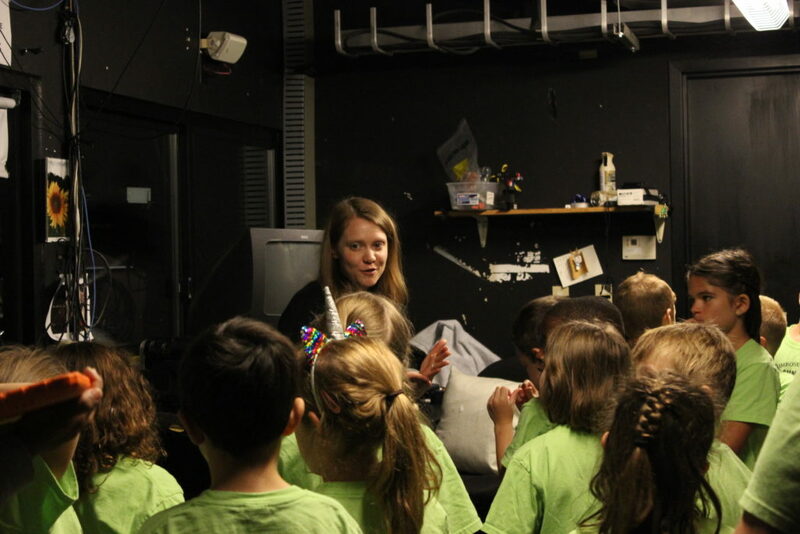 Learning Director Lauren Smith led the group on a behind-the-scenes tour of the theater, including a trip backstage and a peek into the booth. 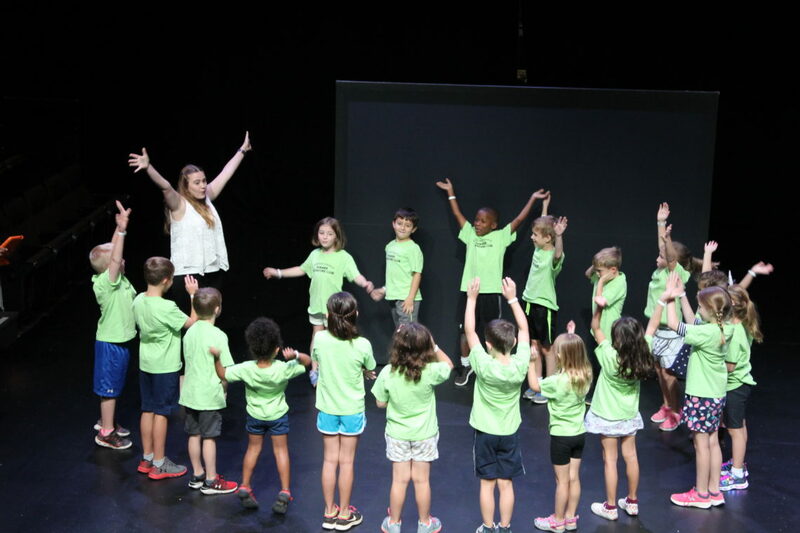 Hannah Dobrogosz, Triad Stage’s Opportunity Greensboro Summer Fellow, took students through theater games that utilized their actor’s toolbox: voice, body, and imagination. 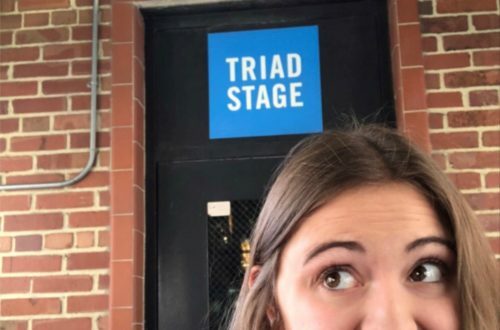 After the tours and games, Lauren introduced Eric Hart, Triad Stage’s Props Master, and he presented various prop creations from past Triad Stage productions. The students passed around fake pieces of food, including a giant fake ham and a cherry pie. Eric also demonstrated the functions of some larger, more complex props. He wowed the students with a doll that comes to life, a flying crow puppet, a life-size replica of a sea turtle, and a compressed air-powered “cannon” that launched bursts of blue slime against a white curtain. Naturally, the slime cannon was a big hit and provoked the most questions. After Eric concluded his presentation and answered some questions, Lauren and Hannah began a shadow puppet activity with the students. Students received woodland creature shadow puppets and taped a bendy straw to the back of the puppets to make them flexible and easy to animate. 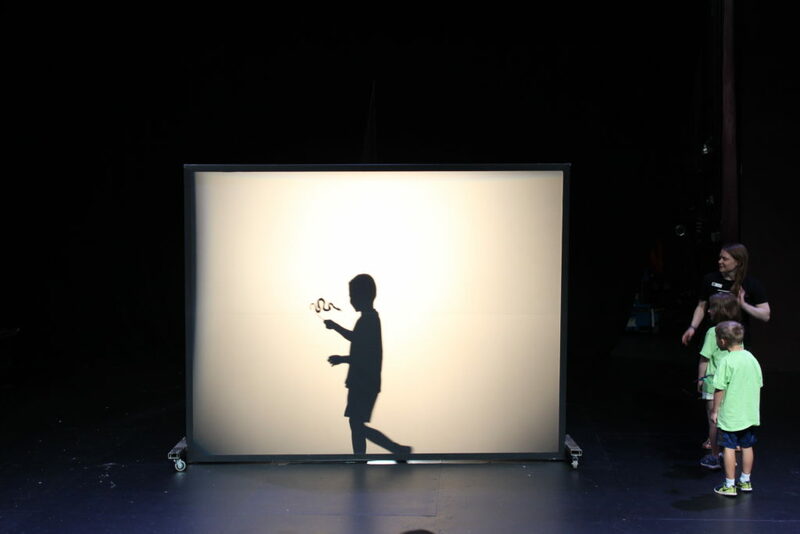 Once the puppets were complete, students tested out their new creations with a rear projection screen illuminated with a large stage light. One by one, the students went behind the screen and brought their puppets to life. They rose to the challenge to use their imaginations as they chose how their puppets moved across the screen. 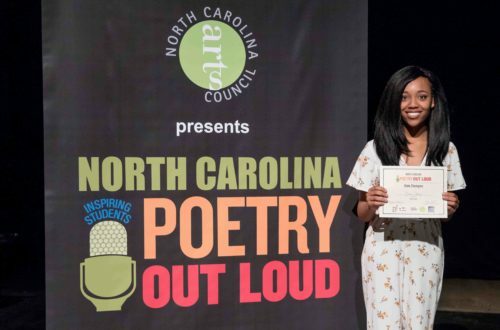 The room was quickly filled with laughter and applause. As the students lined up to go, most continued to play with their shadow puppets. Some students even gave their characters names and qualities, such as poisonous and adventurous. We hope these conversations continued on the bus back to summer camp and beyond! Are you interested in scheduling a field trip with Triad Stage? 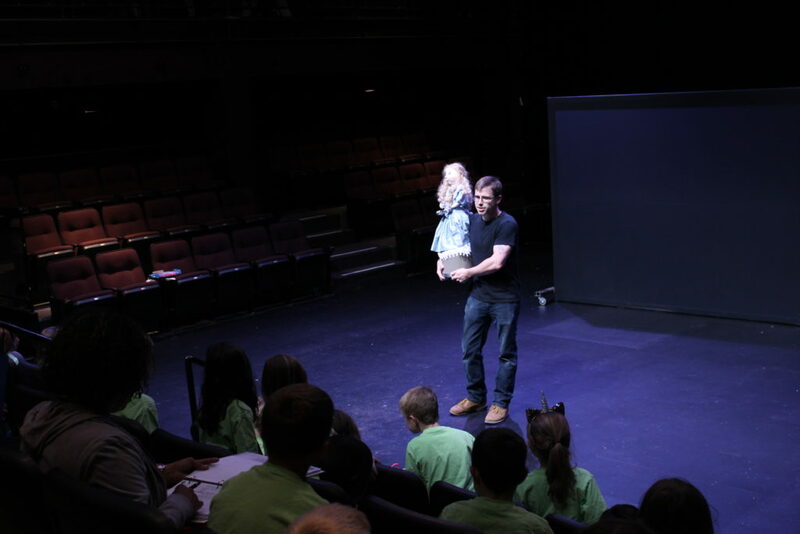 Triad Stage offers a wide variety of field trip opportunities for students. Visit triadstage.org/learning or email Learning Director Lauren Smith at lauren@triadstage.org.